Recovering from an addiction is not easy. It requires tremendous dedication, effort and a strong commitment. The rewards, however, are enormous and are very much worth the effort that you put into it. We discuss each of these stages in detail. If you have any questions regarding the addiction treatment process, don’t hesitate to get in touch with one of our support representatives for more information. The intake and admission process determines the suitability of a rehab center. It gives you and the treatment provider an opportunity to ask questions that will form the basis of an individualized treatment plan. You will be asked specific questions by a treatment support adviser at the rehab center about your condition. 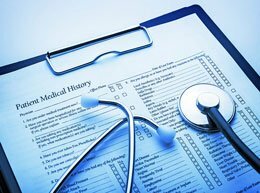 You may be required to undergo diagnostic screenings or tests based on your specific needs and the stage of addiction that you are at. The rehab facility will want to know about the seriousness of your addiction. They may ask you questions about your medical history, drug use history and whether addiction runs in your family. It will also be necessary to give details about financial arrangements to facilitate your stay. The most important thing is to choose the right program that matches your requirements perfectly. You should choose a facility that you feel comfortable with. One where you believe you can achieve long-term health benefits and regain your sobriety. Let’s discuss each of these treatment options in detail. Inpatient (residential) rehab facilities help those that have been affected by the most serious of addictions. Patients are placed in a proper treatment facility, where their recovery takes place under the strict supervision of trained medical staff. At an inpatient rehab facility, the patient is kept away from all temptations and there is little chance of a relapse, either during the detox or post-detox stage. Hospitals – Which offer more intensive medical services and expert supervision by trained health care professionals. Residential Facilities – Which offer 24/7 supervision in a non-hospital setting. 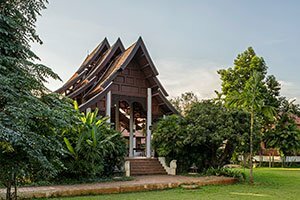 Some inpatient treatment facilities in Asia have specialist medical facilities attached to the primary inpatient treatment centers for more intensive supervision during the early stages of recovery. 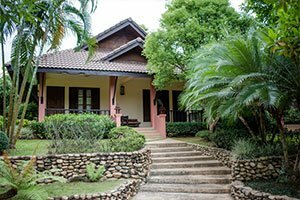 Inpatient rehab facilities in Asia can consist of basic or luxury rehabs. 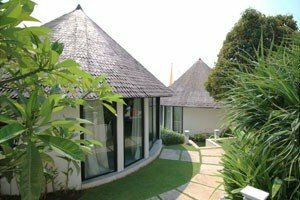 Most are located at resort-like facilities in naturally beautiful surroundings that provide a high level of privacy. The treatment methods at outpatient rehab centers are similar to those of inpatient facilities. Outpatient rehab lets the patient travel to and from the facility every day for the duration of the treatment. Outpatient care is usually preferred by those that have family obligations such as caring for elderly parents or children, or cannot afford to skip work for an extended period. Outpatient treatment is recommended to those with moderate levels of addiction, where the impact is not too severe or damaging. Detoxification or detox is the most important part of any treatment for alcohol or drug addiction. This process is intended to get rid of all traces of alcohol or drugs from the body and is aimed at easing the withdrawal symptoms associated with some drugs such as heroin or prescription drugs. Metabolism and body composition of the individual. The duration – the number of months or years – for which the drug was taken. The type of drug taken and the dosage. Whether there are other co-occurring addictions. A detox performed under strict medical supervision is the safest way to withdraw from a substance. Sometimes the withdrawal symptoms during this stage can be severe. Detoxification should be done only in a rehab center or clinic where there are trained medical specialists – not by yourself at home. When someone consumes alcohol regularly, or takes drugs for years, the body gets used to the substance. So when the substance is taken out, the body starts showing withdrawal symptoms. They can appear within a couple of hours or within the first 24 hours following the last drug use. There are numerous medications that can be prescribed during the detox stage of treatment. Some that are based on the type of addiction being treated. Before a detox, your condition should be assessed by trained medical professionals to determine the type and degree of any medication needed during this process. Methadone is used while detoxing from opiate prescription drugs or heroin. It relieves some of the withdrawal symptoms and makes it easier to stop using drugs. The methadone dosage is gradually lowered over time in order to reduce and completely eliminate drug dependence in the long run. Many recovering addicts take methadone for months or even years, some even for a lifetime. Methadone can become addictive if taken long term so care has to be taken when recommending this drug to patients. Benzodiazepines are anti-anxiety drugs used while detoxifying from alcohol use. This drug minimizes the chances of seizures, reduces withdrawal symptoms and helps relieve conditions such as anxiety and depression associated with the detoxification process. Looking for Addiction Treatment? Ask Us for Independent Advice. 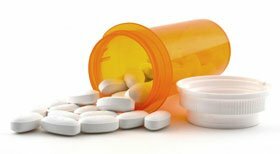 Buprenorphine is an effective drug that treats heroin addiction and addictions to opioid prescription medications. Buprenorphine has become a replacement for methadone over the years as it is not as addictive and does not give the same sort of “high” – this help to ensure that it does not get abused by the recovering addict. The goal is to reduce the intake of this drug over the years. Many patients take it for months or sometimes even years after starting the treatment. Barbiturates are mild sedatives that are effective at relieving some of the anxiety, discomfort and irritability associated with detoxification. They are similar to benzodiazepines and lower the risk of suffering from seizures, which is often seen during alcohol withdrawal. 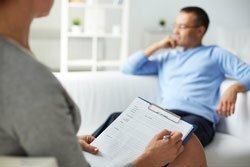 During individual behavioral therapy, patients identify the causes of the addiction to a substance or a behavioral disorder. You will learn several different strategies on how to combat the temptation if it was to arise and focus on new interests or hobbies. You will learn valuable skills so you can can make better use of your time and focus energy away from destructive behaviors. Learn to identify specific triggers and how to avoid situations that can cause a relapse. Cognitive behavioral therapy (CBT) helps you make significant changes to your life. It helps you lead a healthier and more sober life and reform yourself from within. CBT will work to develop an action plan to avoid a relapse at all costs. 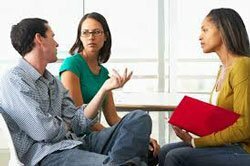 Group therapy sessions involve interaction with others who are in the same position as you. 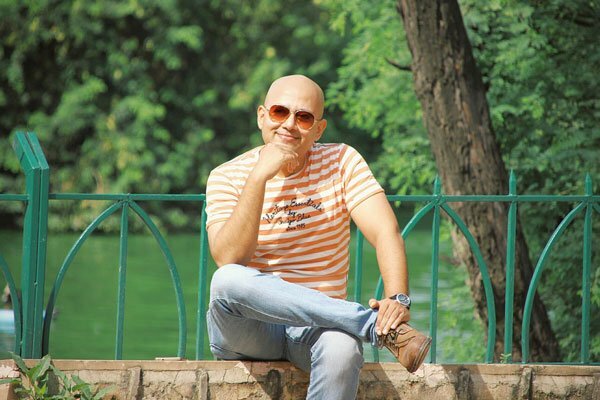 It is very effective at helping you recover from drug or alcohol addiction. Drug or alcohol addicts often believe that their situation is unique and that they are all alone in the world. This is not true, a lot of people go through the same problems. 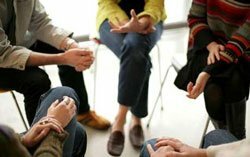 Group therapy sessions bring people from various walks of life that share a common addiction together. Everyone within the group can share their stories and form a comprehensive recovery plan. The community support that they get during this phase is considered very important to their recovery process. Many rehab centers offer family therapy as a part an inpatient treatment program. Addiction to drugs and alcohol affects a lot of people, not just the individual themselves, but also their family and friends. That’s why family members are invited to participate in their loved one’s recovery process. Your family should be seen as a vital component of your recovery and should be asked to join family therapy sessions. These sessions will have free and frank discussions on how the addiction has affected everyone in the family and how they can assist with recovery from the addiction. Family therapy can also help resolve pernicious issues and acts as a bedrock of support during a harsh time and helps the patient get better faster. The addiction recovery process does not end once the rehab is complete. In fact, rehabilitation from drugs and alcohol is a lifelong process that requires a lot of hard work over a lifetime. The path to a complete and comprehensive recovery is not easy; there is always a temptation somewhere that can lead to a relapse! That’s why any support you receive should be over an extended time, and should not end the moment you step out of the rehab facility. Before leaving the rehab program, you will meet with counselors who will formulate a plan for the post-rehab phase or the aftercare. Most rehab centers now offer follow-up programs. The goal is to help patients get back to a normal life. Such plans may consist of weekend visits to the rehab facility or remote support. You could also spend time at a sober living facility for a few months after leaving the rehab center. Here, you meet other recovering addicts, do something productive (such as voluntary work) and take part in group therapy sessions. Group therapy is a great way of building an excellent local support system. Two popular self-help groups that offer excellent post-rehab aftercare to recovering addicts are Alcoholics Anonymous (AA) and Narcotics Anonymous (NA). They make use of the 12-steps program to aid in recovery and provide support for years to come. If you are a recovering addict, you should choose a 12-step group that is most suitable for your condition, where you can get all the assistance you need, and which offers more help than just a general support group. To get the most out of support groups, you should contribute as much as possible yourself and try to help others around you – the more you give, the more you will receive. You should interact with other members of your group and fully understand their experiences. Once you are able to fully recover from your addiction and regain your sobriety you can choose to mentor other newly recovering addicts that need your help. Need Help? Get Confidential Advice from Rehab Specialists. If you or someone you know have questions about the treatment process for addictions, contact us or request a call back for more information. The team at Rehabs.asia can help you find the best treatment for your unique circumstances. Our service is free and confidential at all times. NIDA InfoFacts: Treatments Approaches for Drug Addiction. National Institute on Drug Abuse (NIDA). Moos RH, Finney JW, Ouimette PC, Suchinsky RT (March 1999). “A comparative evaluation of substance abuse treatment: I. Treatment orientation, amount of care, and 1-year outcomes”. Pharmacotherapies National Institute on Drug Abuse (NIDA). Danielson P (2002). “The cytochrome P450 superfamily: biochemistry, evolution and drug metabolism in humans”.